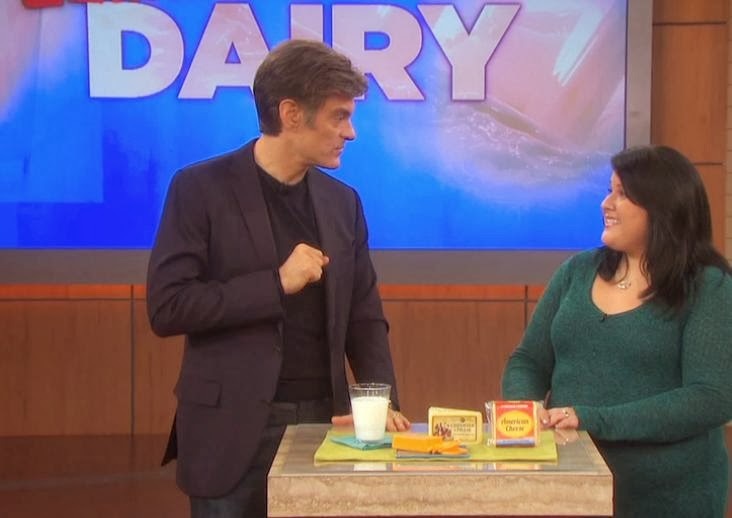 The Rapid Weight Loss diet on the Dr. Oz program eliminates wheat, sugar, alcohol, coffee, sweeteners and dairy products which is what my nutritionist had recommended at the end of last year. One thing I found from eliminating dairy is I no longer have aches and pains (especially my knees). People in the audience who had tried this diet for two weeks had dramatic weight loss and reduced their waist size. Start the morning with hot water and lemon followed by a smoothie: 1 cup almond milk (unsweetened), 1/2 cup frozen berries, 1/2 banana, 2 tbsp. rice protein, 2 tbsp flax seed. Throughout the day you can eat 1 cup Greek yogurt, 6 oz protein, 1/2 cup brown rice, oil and avocado. Snack on nuts, humus and pickles and drink green tea (preferably organic). For lunch and dinner eat protein (6oz per day) and veggies from the low glycemic list. You can eat as many low glycemic vegetables as you like. Take a probiotic every morning. I found the taste of the rice protein and flax seed a little overpowering so cut that down to 1 tbsp. of each in the smoothie. For lunch and dinner I've eaten chicken or fish with vegetables or salad. Most of all I feel a lot better. My brother-in-law did a diet that was very similar to this. The "no added sugar, nothing white diet" to keep it simple. It was also recommended to him from a dietitian he worked with. he lost a lot of weight fairly quickly. I thought I would give it a go, but oh boy.... lol... I did not last long. He ate high amounts of animal protein. I am vegetarian so found that part of it hard. the no added sugar thing was also hard. It just wasn't for me. I do know this kinda diet is great for others though, so good for you for trying it. Congrats on your results! Sonya, this diet recommends a protein drink in the morning then 6 oz protein for lunch and for dinner. Some diets do allow lots of animal protein which isn't good for you.